In an action stemming from an RV fire allegedly caused by the vehicle’s refrigerator, the U.S. Court of Appeals for the Sixth Circuit ruled that Kentucky’s economic loss rule did not preclude the RV’s insurer from bringing a tort claim against the refrigerator’s manufacturer. The rule applies only in the commercial context and does not extend to consumer transactions such as the one at issue (State Farm Mutual Automobile Insurance Co. v. Norcold, Inc., February 22, 2017, Stranch, J.). The damages in this case were incurred when an RV refrigerator manufactured by Norcold, Inc. overheated and caused a fire that destroyed the RV. The RV and its contents were a total loss, and the vehicle’s insurer—State Farm Mutual Automobile Insurance Co.—paid $145,193.20 to the RV’s owner pursuant to the insurance policy. State Farm subsequently filed suit against Norcold, which stipulated that it was responsible for the damage and owed $145,193.20 to State Farm if Kentucky’s economic loss rule (ELR) did not apply to the consumer transaction in this case. The district court ruled in favor of State Farm, finding that the ELR did not prohibit the insurer from bringing a tort claim against the manufacturer (see Products Liability Law Daily’s November 9, 2015 analysis). Economic loss rule. The issue on appeal turned on whether the ELR applies to consumer transactions in Kentucky. 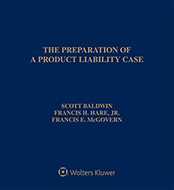 This doctrine prevents a plaintiff from recovering in tort for damage caused by a defective product when the only damages are to the product itself and consequential damages such as lost profits. Recovery for those types of damages must be sought through contract claims. Encouraging the party best situated to assess the risk of economic loss to insure against that risk. According to the Sixth Circuit, the first policy could apply in both commercial and consumer settings, but Kentucky law has drawn a distinction between tort and contract differently depending on whether a transaction is in a commercial or consumer context. The second policy has different implications in the contexts of commercial and consumer transactions. Parties in commercial transactions are usually sophisticated and have relatively equal bargaining power, while consumers are generally less sophisticated and bargain with unequal power when negotiations actually do occur. In many cases, for example, consumers are unaware of the risks inherent in a product, let alone the opportunity to allocate that risk by contract. In this case, therefore, the Sixth Circuit rejected Norcold’s argument that the freedom to contract would be infringed absent application of the ELR. The third policy also differs between the commercial and consumer contexts, as sellers usually have better information about what to expect of a product’s performance. And, even if consumers understood the risks inherent in a product’s use, they may not have insurance options available to insure against that risk. The producer would be in the better position to select proper liability insurance. In the Sixth Circuit’s view, two of these three policies justified treating commercial and consumer transactions differently. Moreover, when the state supreme court announced the ELR, it could have done so using broad language that encompassed consumer transactions; however, it did not. Rather, its opinion described the rule as applying to a "commercial purchaser," to a "product sold in a commercial transaction," to a "manufacturer in a commercial relationship," and to "commercial transactions." Another indication that the state high court would not extend the ELR to consumer transactions was its general skepticism of the rule. For example, it did not announce the ELR until 25 years after the U.S. Supreme Court’s foundational case on the issue. At that point, Kentucky was joining the majority of states in recognizing the doctrine. In light of the state’s case law on this issue, and because the policies underlying the ELR justified treating commercial and consumer transactions differently, the Sixth Circuit concluded that the ELR does not extend to consumer transactions. Accordingly, the judgment of the district court was affirmed. The case is No. 15-6410. Attorneys: Kenneth E. Dunn (Barnett Porter & Dunn) for State Farm Mutual Automobile Insurance Co. David Thomas Schaefer (Dinsmore & Shohl) for Norcold, Inc.
Companies: State Farm Mutual Automobile Insurance Co.; Norcold, Inc.